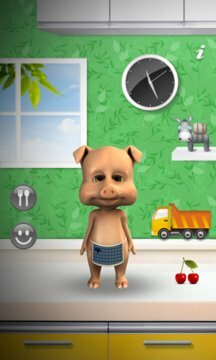 Piggy is extremely lovely for you, he can eat, dancing to music and do a lot of interesting gestures. He can also listen and talk to you with a very funny voice. 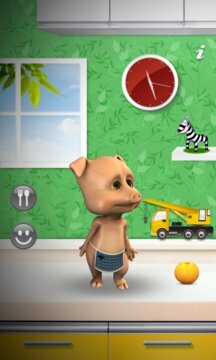 There are a lot of other toys for you in this application. Let's have fun with Piggy!